You are here: Home / 2016 Show Archive / Animals Today – January 30, 2016: Wolf-dog hybrids. The dollar value of dogs. Dog bites and the law. More on salamanders. Dog lovers, this episode is for you! 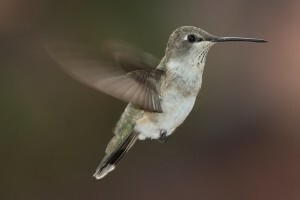 We begin by discussing some nifty things you can do around your home to help animals such hummingbirds and other birds. Then Darlene Kobobel, President of the Colorado Wolf and Wildlife Center returns to discuss the many problems related to wolf-dog hybrids, properly called wolfdogs. You will want to think twice before buying one! The show’s next guest is Bob Ferber, former Los Angeles Animal Cruelty Prosecutor. Lori and Bob discuss the changing landscape of the legal value of pet dogs, highlighting an ongoing case recently heard by the Georgia supreme court, where a couple is seeking monetary damages way beyond “market value” of their deceased family dog, Lola. The plaintiffs claim that Lola died after receiving the wrong medication at a boarding facility, and in addition to seeking to recover the costs incurred for Lola’s veterinary care, they want the court to consider her sentimental value to the family. Then, Lori and Peter welcome back to the show Attorney Kenneth Phillips,a nationally renowned expert in legal issues related to dogs, and especially dog bites. They discuss the “one bite rule” and other legal principles at play for a variety of dog bite scenarios. If a dog has a history of biting or if it is obvious that a dog has a propensity to bite, typically the owner will be legally responsible should he or she bite again. Also, Ken explains the legal risks dog owners face when their dogs are off leash. The show continues with a reminder to make sure you have an emergency pet care plan in place in case you unexpectedly can’t make it home. Finally, The Salamander Man, Matt Ellerbeck, has salamander news, and explains what cold-blooded really means.